The Rangers, coming off a dissapointing loss, snap Biddeford's seven-game winning streak with a 6-2 victory. BIDDEFORD — Jason Tremblay has coached enough games against Greely Coach Barry Mothes to know Biddeford High needed to be ready Saturday afternoon. 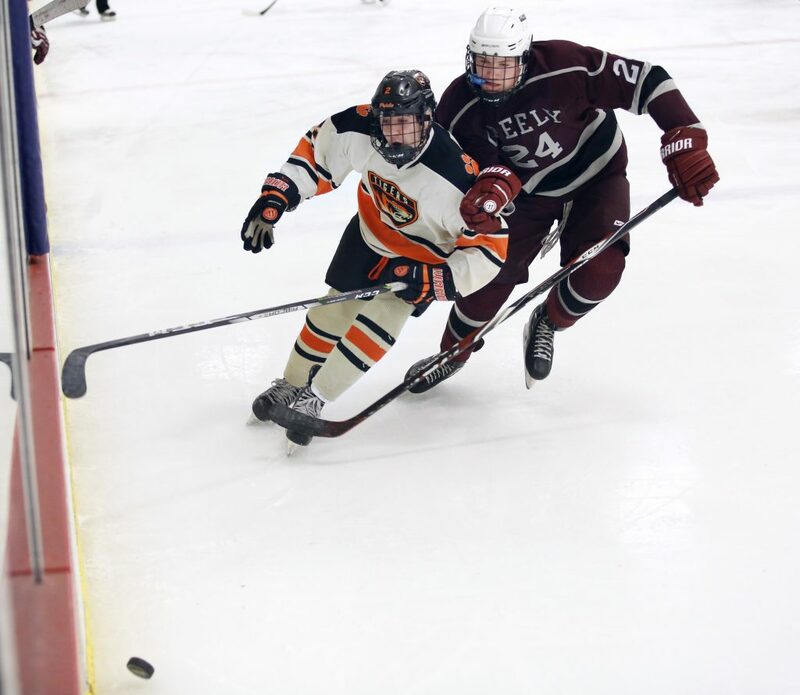 Greely’s nine-game winning streak ended Wednesday with a disappointing loss to Gorham. 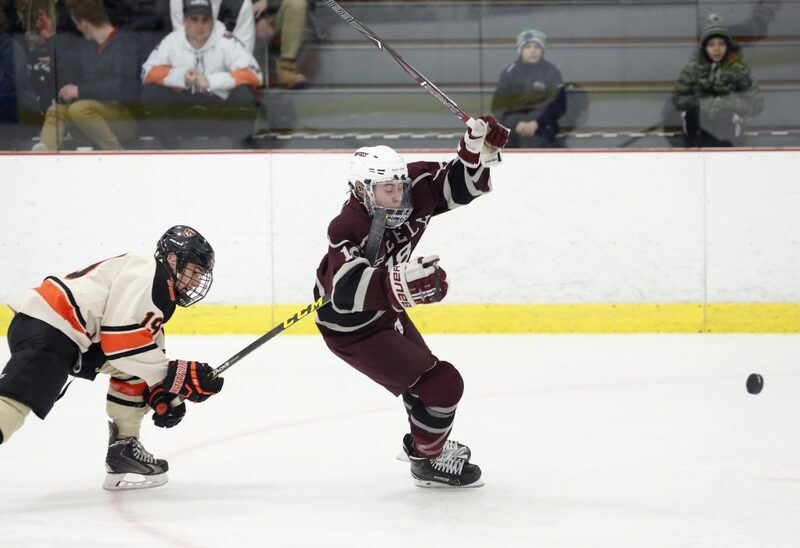 The Class B Rangers were flying, and they knocked off the Class A Tigers 6-2 at Biddeford Ice Arena. 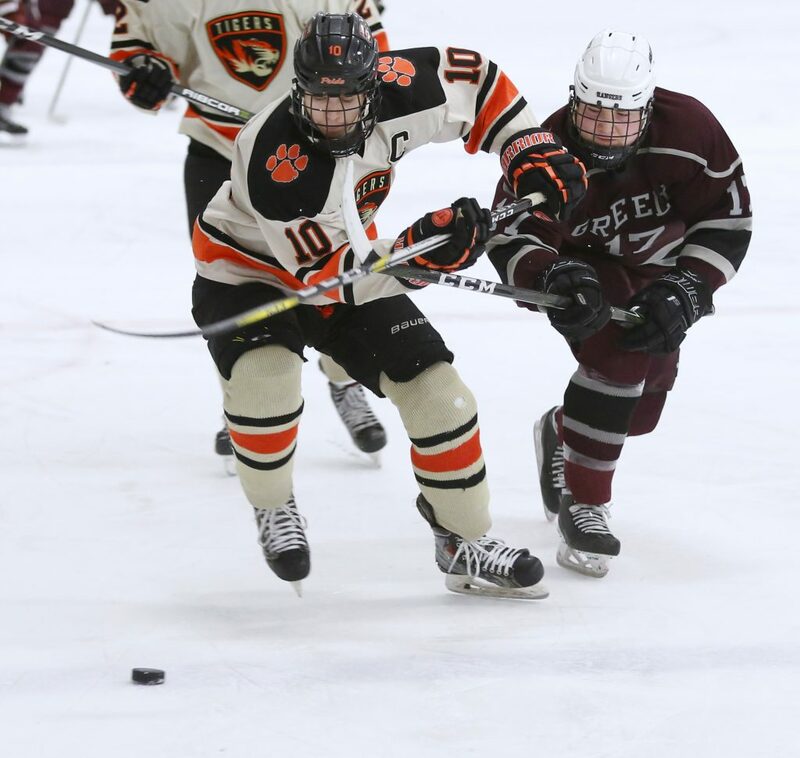 Both teams were in second place in the South region of their respective classes, with Greely now 10-2, while the Tigers dropped to 10-4, their winning streak ending at seven games. Greely took a 3-1 lead in the first period. It was 3-2 after two periods, but the Rangers poured in three more goals in the third. 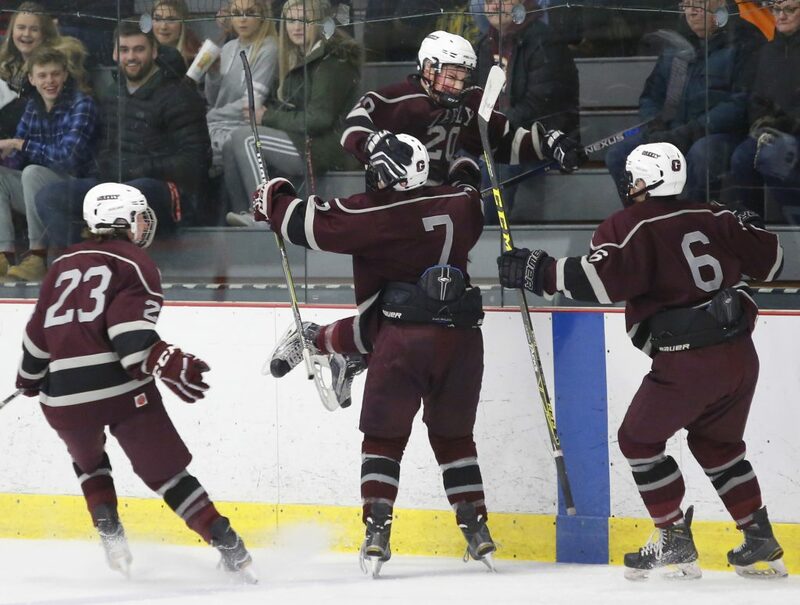 Jake MacDonald and Matt Kramlich each tallied twice for Greely, and Karsten Bourgoine made 27 saves. Preparation for Biddeford began Wednesday night. 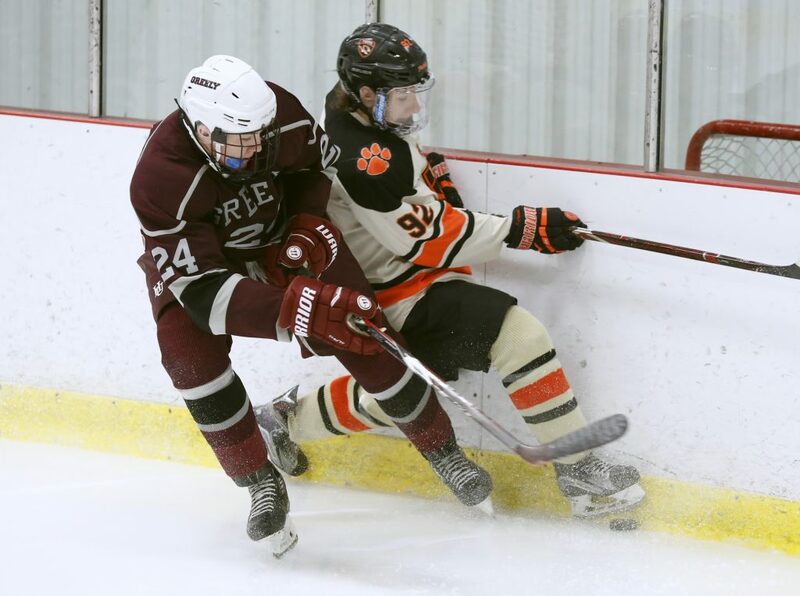 Biddeford outshot the Rangers 29-25 while creating other chances that didn’t reach the net. Greely’s defense filled the lanes, and Bourgoine was in position when needed. Kennedy and Cole Stetson formed a strong defense duo, and Caleb Duff and Andrew Eckhardt teamed for another. MacDonald gave Greely a 1-0 lead on a rebound at 2:33. Biddeford tied it 23 seconds later on Trevor Ouellette’s wrist shot. The Rangers went ahead for good at 11:53 on Kramlich’s power-play goal – a rebound after a shot off the glass. MacDonald then converted a centering pass from Jackson Williams at 13:45. Nick McSorley’s power-play goal in the second period closed the score to 3-2. In the third period, Andy Moore roofed a backhand at 4:10, then Kramlich made it 5-2 with a short-handed breakaway goal at 10:19. Matt Dubbert added a power-play goal at 14:09. “Their big guns were firing tonight. They buried pucks,” Tremblay said. The Tigers play Saturday against Cheverus, the No. 1 team in Class A South.